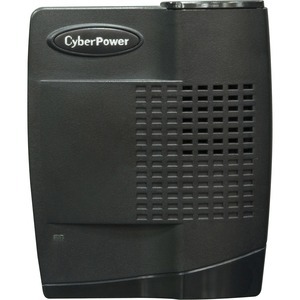 The CPS160SU-DC power inverter converts 12v DC automobile power to standard 120v AC home power - up to 160 watts. Simply plug the inverter into a 12v DC outlet (cigarette lighter outlet) and you're ready to go. It is equipped with one (1) 120v outlet, a DC outlet for devices with DC plugs (cigarette lighter plug), and a convenient USB port for charging smart phones, cell phones, MP3 players, and digital cameras. It has full-time surge protection that guards against power fluctuations from vehicle startup and shutdown, and has an ergonomic slim-line design with a small foot print. Its universal 2-in-1 auto/airline connector can power your electronics on the road, in the air, or on your boat. It's the perfect device to power all your mobile/consumer electronics, small appliances, emergency equipment, and portable tools.